At this time of year, some of us are heading off to the ski slopes and as much fun as it is playing in the snow. 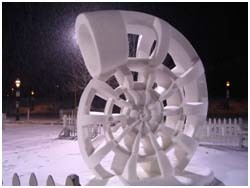 What can you do with snow once you’ve got some? So, what is this stuff called ‘snow’? I mean its frozen rain …isn’t it? Well, not really. Snow starts off as tiny ice crystals that collide and fuse together inside clouds. However, these crystals will melt on their way to the ground unless the air just above the ground is cold enough for them to fall as snow. 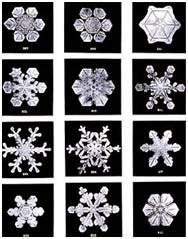 Different types of snow are produced depending on how cold it is. Powder snow is formed only when the outside temperatures are very low; the cold air doesn’t allow the crystals to stick together so easily so it stays a looser consistency. Have you ever heard anyone say “It’s too cold to snow”? Or perhaps you might have heard “It’s been trying to snow all day but it’s just too cold.” Is there any truth behind these myths? Well, the word from Professional Meteorologists is that actually there isn’t anywhere on Earth that is too cold to snow. It snows in various places at extremely low temperatures. However, due to a lack of water vapour in very cold air, it tends to snow less frequently once temperatures dip below zero. That said, however, snow is certainly present at the frozen North and South Poles. Experts have said that the only time it couldn’t snow is if outside temperatures plummeted to absolute zero (-459F or -273C) … but everything else would be impossible too! So, what if you don’t have any snow of your own to play with; how can you make your own snow? One of the quickest and easiest methods is to get hold of some sodium polyacrylate crystals (also known by the chemical formula [-CH2-CH(COONa)-]n). This polymer is used commonly in the lining of diapers and are the ‘water crystals’ used commonly in soil preparation and available at your local garden center. By simply adding plain tap water to the sodium polyacrylate, you can watch the crystals expand into a mass of fluffy white fake snow right in front of your eyes! We have snow, now what? 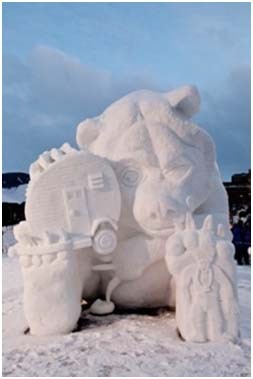 Have a look at these wonderful creations made by some very creative types who have more than enough snow, and time, on their hands. 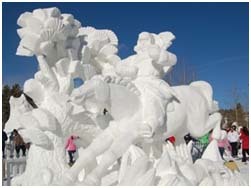 These are winning sculptures from the International Snow Sculpture Championships, held in Breckenridge, Colorado every year. This year’s free event takes place January 25th – February 6th 2011. Will taking toys away from children make a difference?